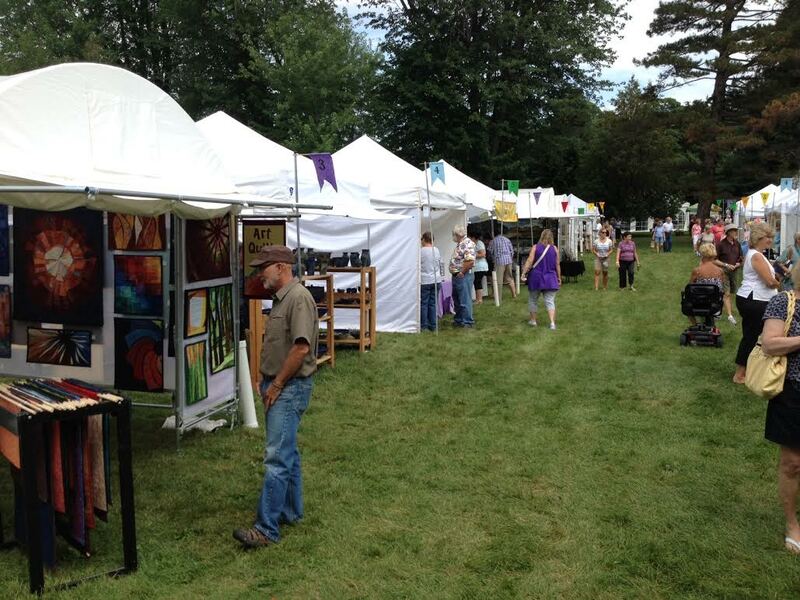 I always plan for great sales at arts festivals and the Sonnenberg Arts at the Garden show in Canandaigua, NY this past weekend did not disappoint. In fact, this was my best festival yet in my limited three years of experience! YEAH! But beyond selling, the next best thing about being at festivals is the people. Talking and sharing with people about contemporary quilting, about what kind of quilt they are looking for, about how I came to be an art quilter…it is all fun and all determined by the people coming into my booth. I listen and follow their lead. The quilters are the funniest. They come in and immediately have their face as close as possible to the quilts, trying to see the stitching and figure out the piecing. I often ask, “Are you a quilter?” and receive a “Yes, but not quilts like this!” I think I gave about a half dozen traditional quilters the confidence and some quick direction on how to sew curves, how to jump in with wonky construction, and how to give contemporary quilting a try. We talk about sewing machines and free motion stitches and how much practice it all takes. We talk about all those projects in the closet that didn’t work out but I said when you make wall quilts, those “mistakes” are smaller than bed quilt size and a bit easier to stuff in the closet. It makes me smile to think that maybe 6 more people after every festival I do, might try contemporary quilting designs and liberate the artist inside of themselves. People ready to buy are also special when they let you into their world and share why they want one of my quilts and where they plan to hang it. I had a customer sit on the grass for awhile just contemplating several quilts. I had another customer who spent over an hour really looking at each and every quilt before making her decision. I like to see smiles and hear reactions as those messages tell me if my art is accomplishing what I want. 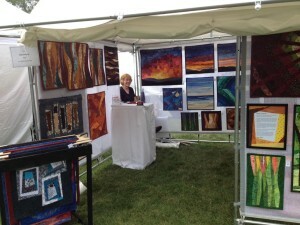 One customer said my quilts were whimsical….I like that! Many smiles and exclamations about how great the color combinations are. 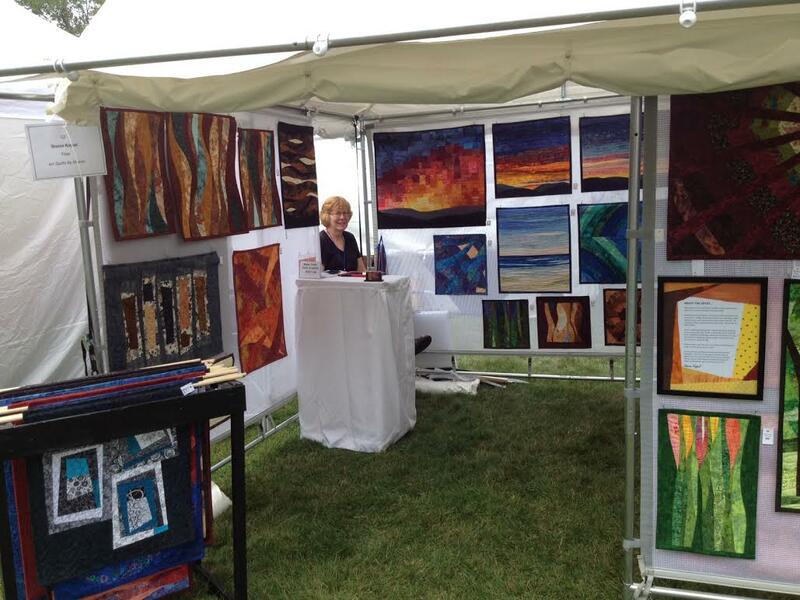 And the sunsets, beach scene, and tree quilts continue to sell fast but always with an appreciation for the abstract designs. I’m done with shows for this season. They have been fun, informative, and educational. My inventory is a down some so the months ahead will be filled with new creations. I’m glad not to be hoisting the heavy canopy in and out of the car and setting up and taking down for about 6 months but I will miss the interactions with people which invigorate me and give me inspiration and motivation for new quilts.